YPSILANTI — The Ypsilanti School District rejected privatizing transportation as a way of eliminating its $4.6 million deficit. Instead, the district sold its Ardis Renaissance Academy to the Salvation Army for $3.85 million. The district also addressed some safety issues that helped reduce worker compensation costs by $160,000, according to Superintendent James Hawkins. Ypsilanti had previously explored privatizing and consolidating its transportation services with Willow Run and Lincoln school districts. However, the deal fell through after meeting stiff opposition in Willow Run and after an accelerated request-for-proposal schedule left vendors struggling to meet deadlines. Even so, the district had entertained an offer from Durham Transportation that was expected to save $500,000, but the proposal was rejected when the company would not take over operations until the middle of the school year. Budget problems are likely to persist for Ypsilanti Public Schools, however. Increased health insurance and retirement costs are expected to create a deficit of $3.9 million that will have to be addressed in next year’s budget, according to the Ypsilanti Courier. 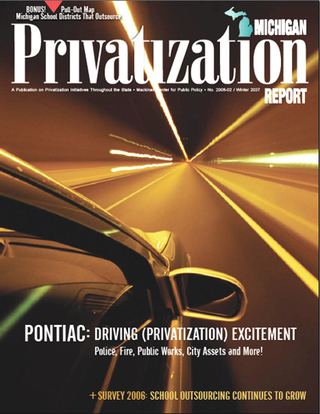 Privatization is expected to remain an option.